Bring the Japanese language to life with this beautifully illustrated children's book from Lonely Planet Kids, an imprint of Lonely Planet, the world's leading travel guide and phrasebook publisher. 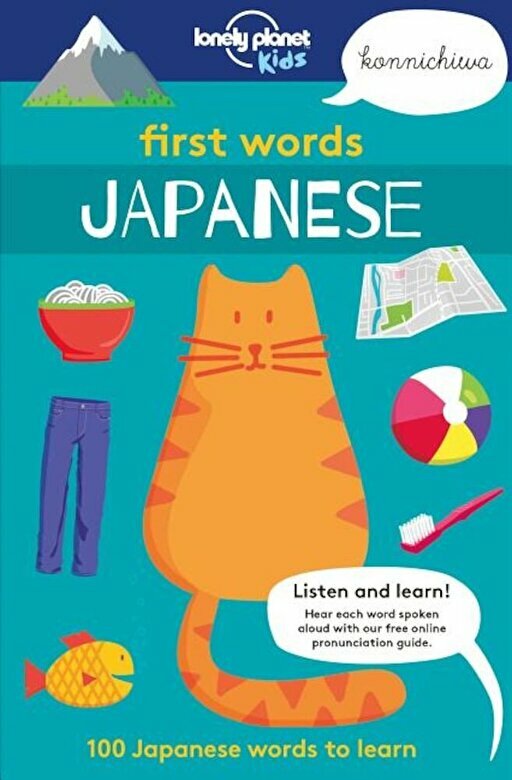 Perfect for the whole family, First Words Japanese features 100 words to use while traveling, from food and transport, to animals and weather. Each word is accompanied with a bold illustration and a simple pronunciation guide to make the vocabulary fun and easy to learn. Plus, its small size makes it a handy addition to any trip to Japan.